Every year, thousands of tourists make the difficult hike over the Owen Stanley Mountains on the route of a military campaign that’s taken on mythological status in Australia. In the spring of 1942, Japanese forces surged across the South Pacific in an effort to cut supply lines between Australia and the United States. 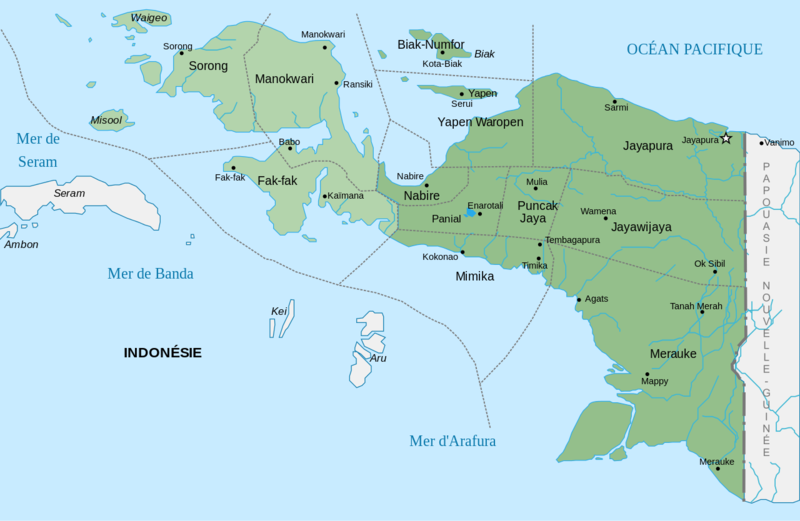 One key target: Port Moresby on the southern coast of New Guinea. The Japanese army marched over land from the north coast. What started as a road soon turned into a single file jungle track that ran sixty miles over the mountains. 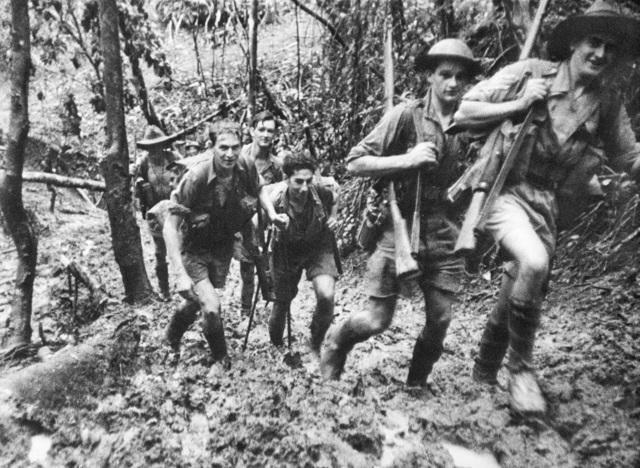 Both Japanese and Australian troops suffered from heat, rain, malaria, dengue fever and, on high mountain slopes, from cold, too. The Japanese pushed close enough to see Port Moresby, but the Australians dug in, supplies ran out and then the Australians chased the starving Japanese all the way back. Some members of D Company, 39th Battalion, returning to their base camp after a battle at Isurava. Right to left: Warrant Officer 2 R. Marsh, Privates G. Palmer, J. Manol, J. Tonkins, A. Forrester and Gallipoli veteran Staff Sergeant J. Long. Their shoes sink deep in the mud on the hilly jungle track. September, 1942. Brutal treatment of the Papuan tribesmen they used as laborers made Japanese supply problems even worse. Reduced to eating grass and roots, some Japanese troops resorted to cannibalism. Australians treated Papuans much better, but even so, the tribesmen who ferried supplies up the trail and carried wounded back down suffered from exhaustion, hunger, exposure and disease. 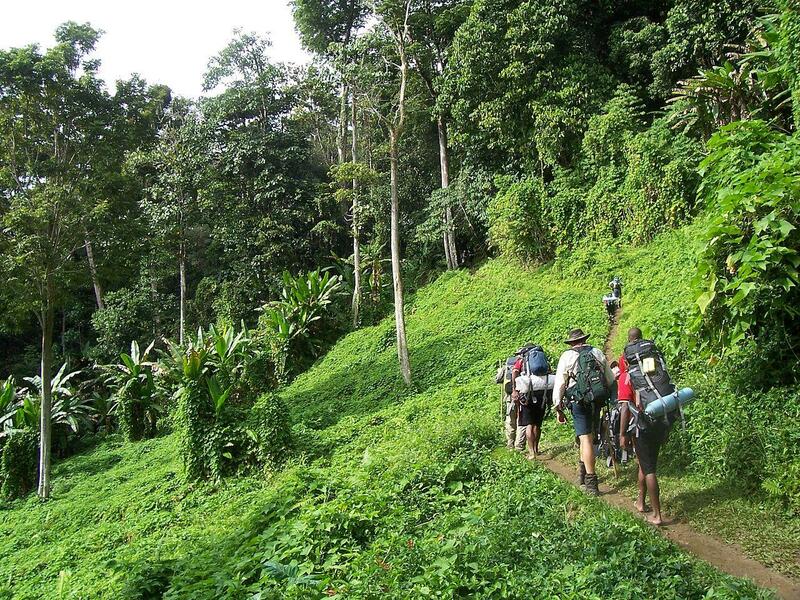 In Australia, the Kokoda Track is often portrayed as an epic victory against impossible odds. Long after historians pointed out that the numbers were actually on Australia’s side. 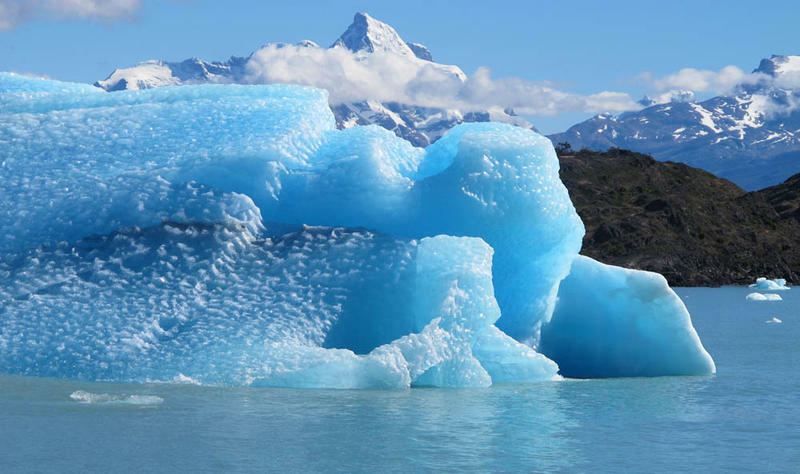 The Pacific Climate Change Conference got underway in Wellington this week, as the remnants of Cyclone Gita arrived to lash the west coast of New Zealand. 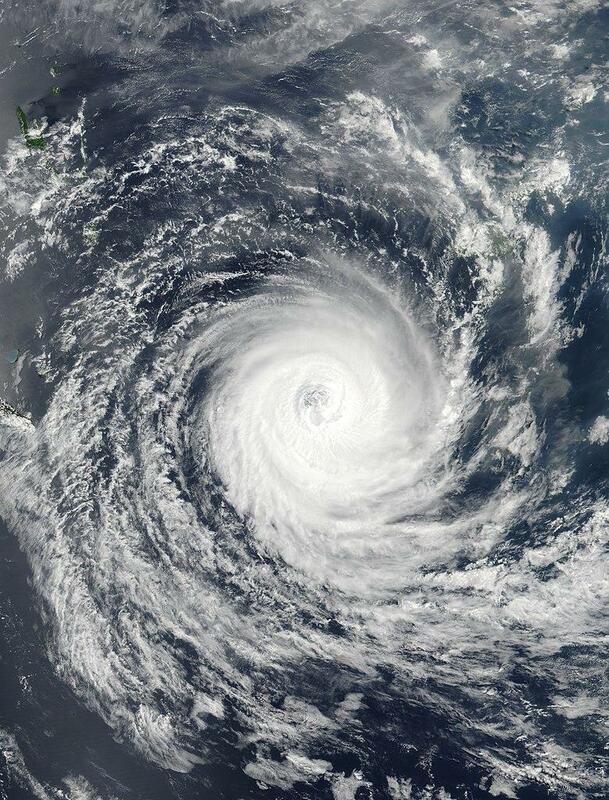 Several small island nations suffered severe damage from the storm and, as we hear from Neal Conan in today’s Pacific News Minute, recovery is expected to take months, if not years.